Registered nurses are a tough bunch. But even many nurses have one thing that makes their stomach churn. If for you that’s an infected burn, an open wound, or treatment of an osteotomy, then you might want to pass on the opportunity to become a certified wound care nurse. 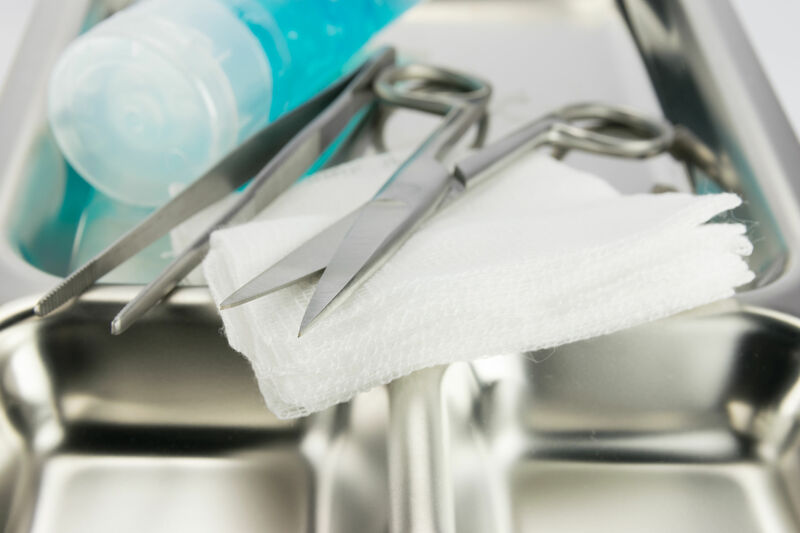 Many specialties exist that don’t treat sores and wounds that need great, passionate nurses, but there almost as many reasons to consider wound care. Wound care nursing is an especially fulfilling practice because you actually help the body heal. And with chronic wound care representing nearly 4 percent of total health system costs, wound care nurses are in demand. If the specialty piques your interest at all, keep reading, and check out what wound care nurses do, if it’s right for you, and how you can get started on the path today! First things first: What does a wound care nurse do? Wound care nurses assess, treat, and create care plans for patients with complex wounds, ostomies, and/or continence conditions. Every nurse in their career will tend to a wound at some point; certified wound care nurses, however, demonstrate a high level of knowledge and expertise in the field, and often act as educators and consultants to staff nurses and other healthcare professionals. Just like any other specialty, what you’ll treat will run the gamut. One minute you may be cleaning a surgical wound, the next you’ll help a patient with pain management, and before your shift ends you’re consulting staff on how to prevent pressure ulcers. This specialty requires a lot of patience, respect for the patient, and ambition to stay up-to-date on current procedures and techniques. Wound care nurses also help educate and provide care instructions for patients and families. Wounds often need continual care in order for the condition to properly heal. 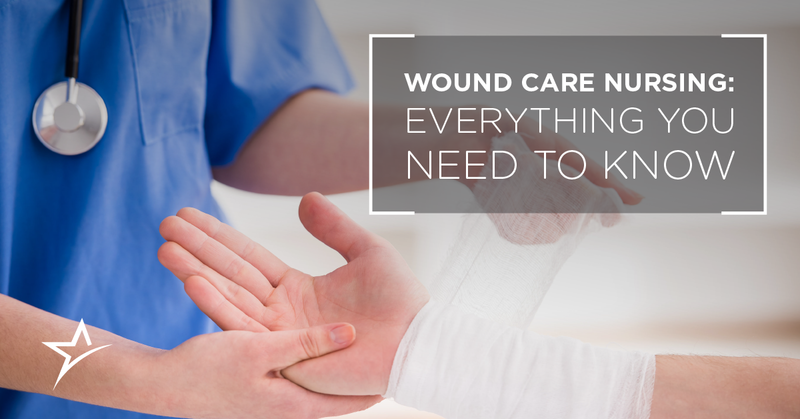 Wound care nurses teach patients and caregivers how to clean and dress wounds, and also what to look for in order to prevent any complications like infection. For your consideration: Why should I become a wound care nurse? Wound care nurses might seem a little macabre. After all, who chooses to hang around open wounds all day? But those who specialize in it find the healing and treatment of our bodies fascinating — and rewarding. It’s a wonderful path for people with a natural inclination for teaching, positivity, and compassion. The emotional burden placed on a patient with an osteotomy, for example, can be overwhelming, and people need nurses who can help them overcome the physical and emotional hurdles of their condition. The technicalities: Do I need a certification in wound care nursing? Traditional path: If you choose this path, you must complete a WOCN-accredited program and have one year of relevant clinical experience within the last five years (before applying to wound, ostomy, and continence nursing education program). Experiential path: If you choose this path, you must have 50 continuing education contact hours (or the equivalent college coursework) within five years of applying to a wound, ostomy, and continence nursing education program and bank 1,500 clinical hours (at least 375 of those which need to completed within the year prior to applying). After completion of either path, you can sit for the national board examination. There are two other accredited organizations other than the WOCN (the National Alliance of Wound Care and Ostomy and American Board of Wound Management) where you can obtain certification. The criteria differ from organization to organization, so make sure to research which program will best fit your experience and needs. At Ameritech College of Healthcare, we provide our registered nursing students with a solid foundation in generalist nursing so they can pursue any specialty they desire after graduating. If you’re interested in our associate’s degree in nursing or want to complete your RN-BSN to become eligible for wound care certification, please feel free to reach out to us. We’d love to hear from you!